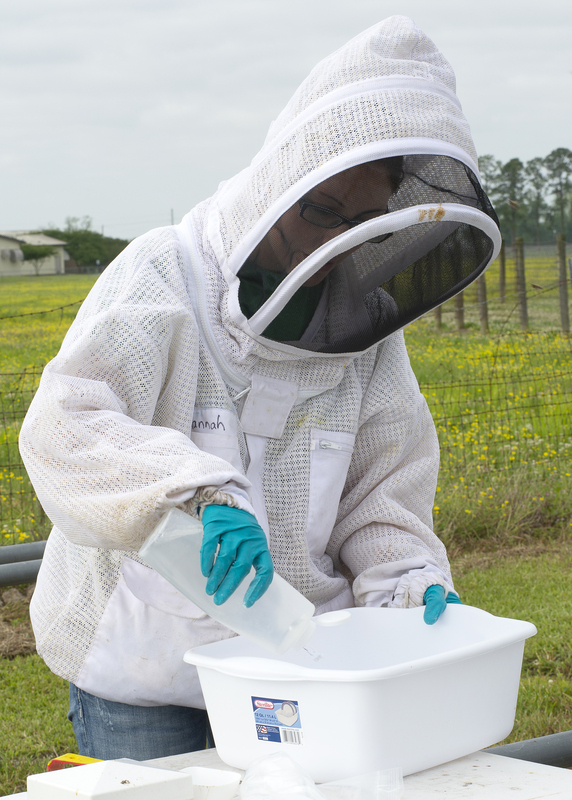 Varroa mites, honeybee parasites that spread the deformed wing virus, are a major source of colony death. To determine if you need to treat for mites, regular testing is recommended, especially in the late summer. Prepare your area. Place the open sampling jar and ½-cup scoop near you. Find and cage your queen to keep her safe during the test. 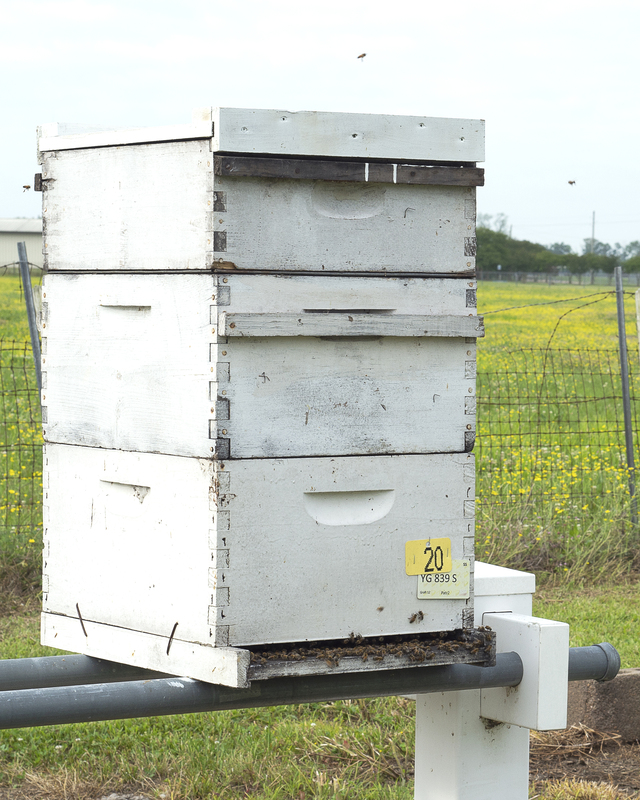 Select a frame containing both capped and uncapped brood cells. 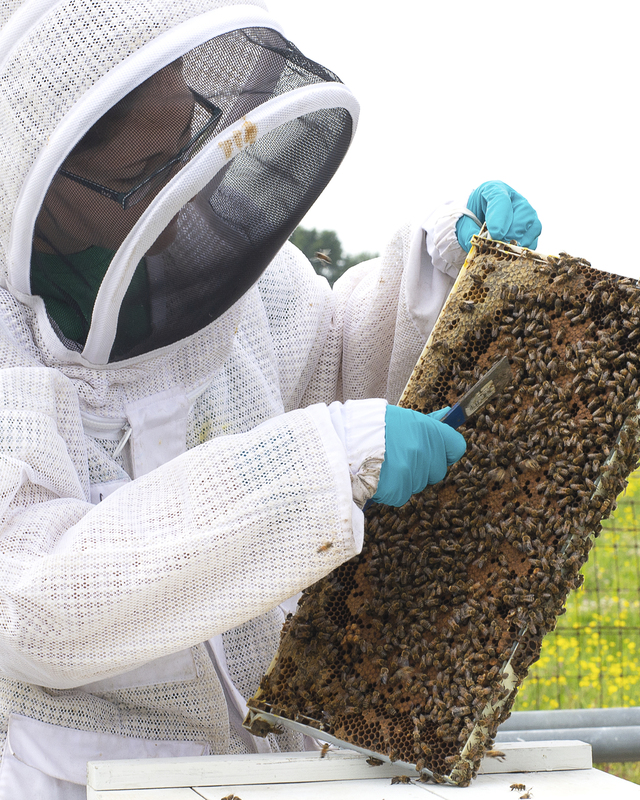 Hold the frame with one hand and scoop bees while working from the top of the comb down. We recommend holding one end so that you can easily pivot it around on its axis. 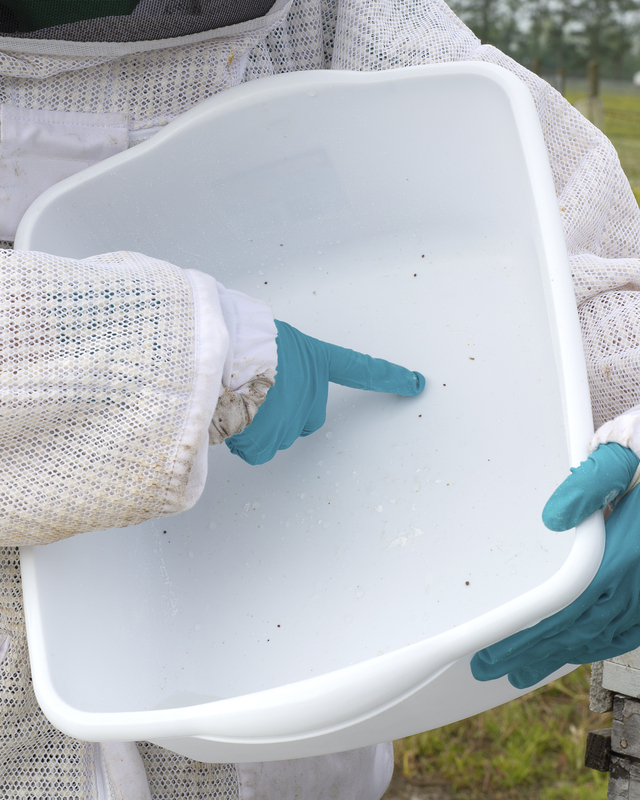 Alternatively, you can shake or brush bees off the frame into a tub or bucket and scoop from there. Be sure to return the remaining bees to the hive. 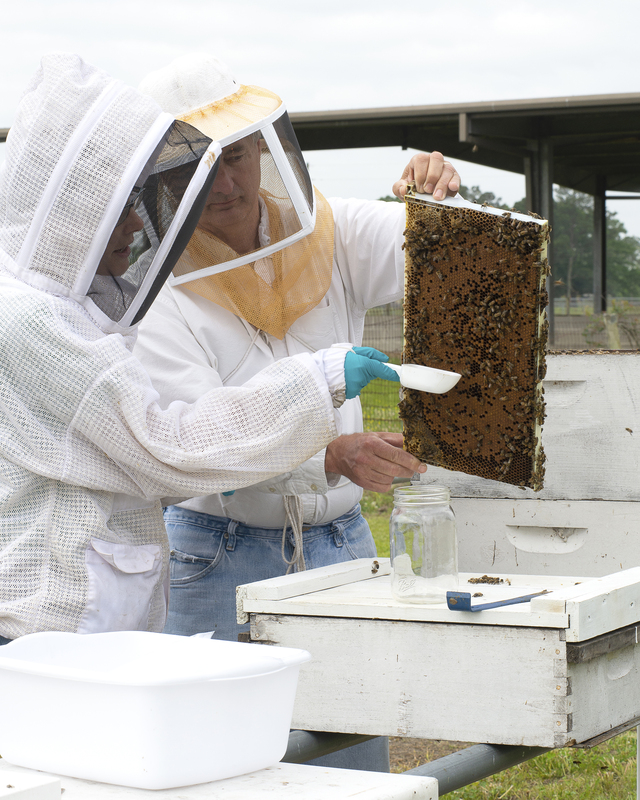 Once the scoop is full — about 300 bees — pour the bees into the sampling jar and close the lid. 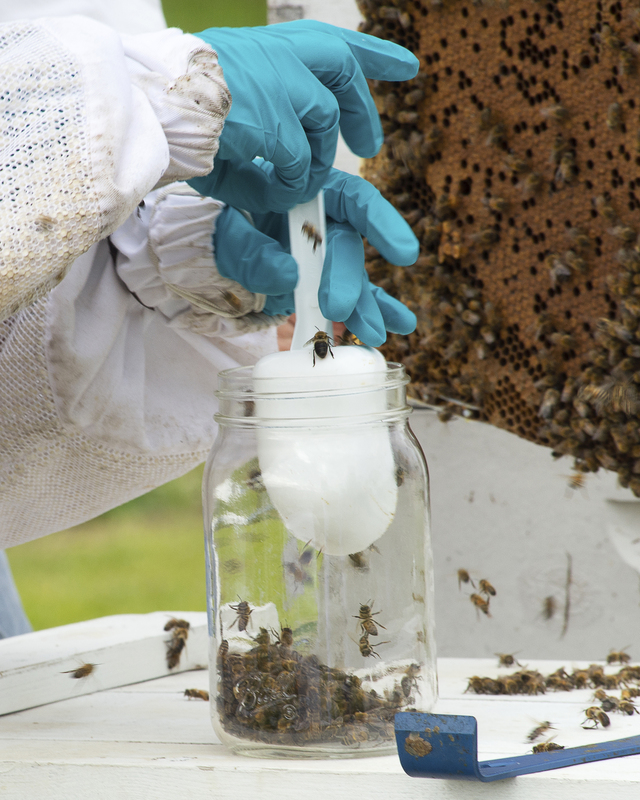 Add 2 tablespoons of powdered sugar into the jar with the bees. 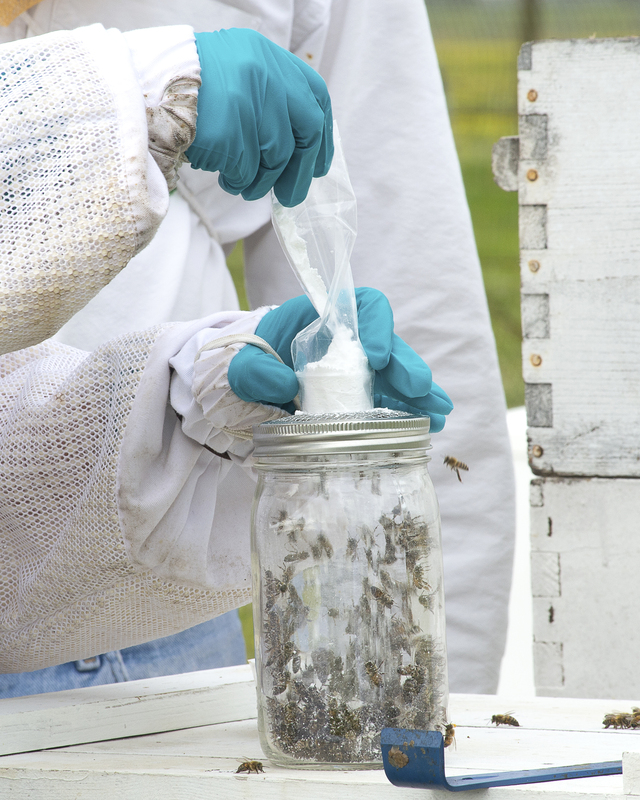 Slowly roll the bees around in the sugar, then place the jar in the shade and wait for 2 minutes. 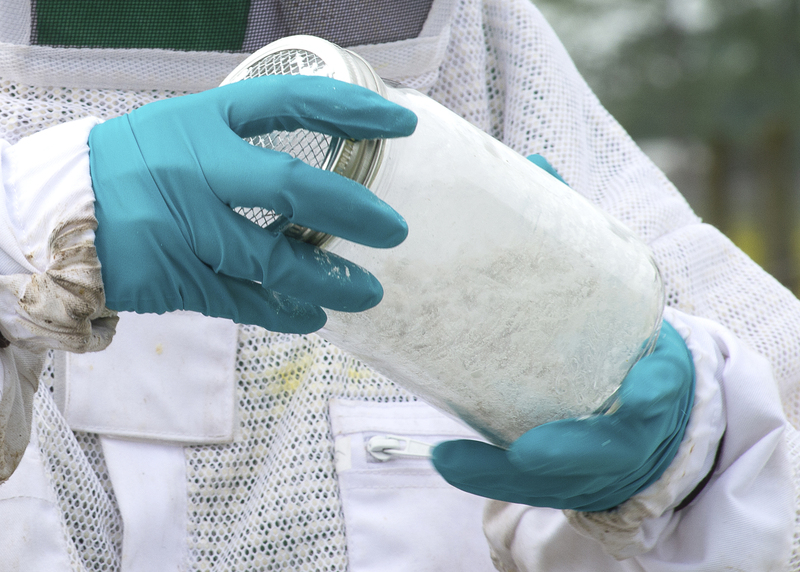 Firmly shake the jar over a white surface, such as the tub pictured, for 1 minute. Using a squirt bottle, water down the powdered sugar to reveal any mites. 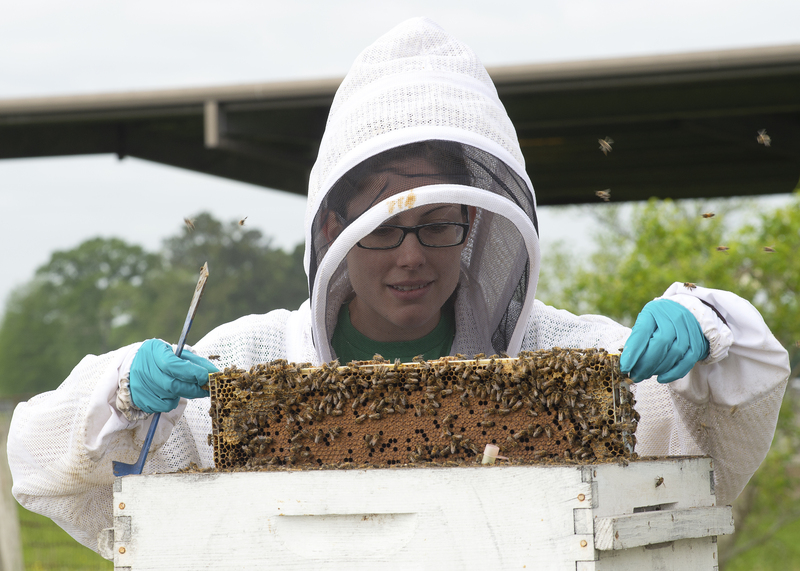 Return your sugared bees to the hive. Count the total number of mites and divide by three to get the percentage of mites. 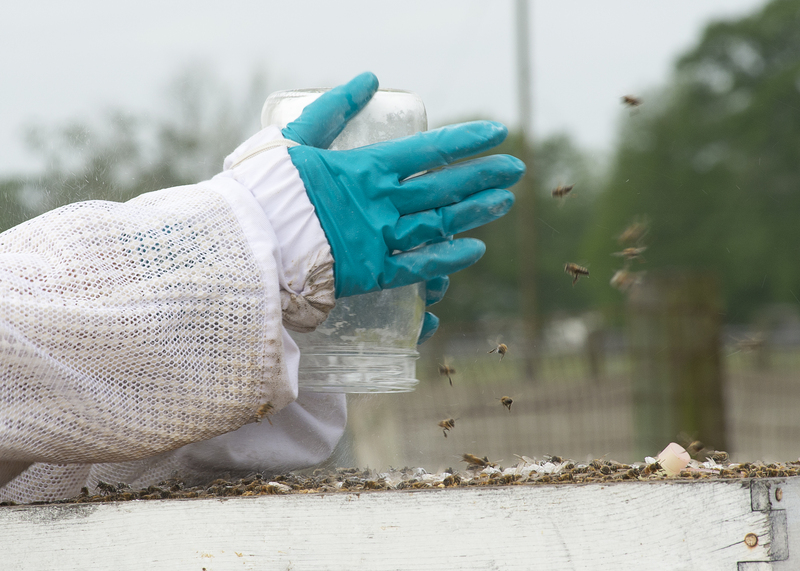 You will need to treat your hives if the final percentage is 2 to 3 percent. 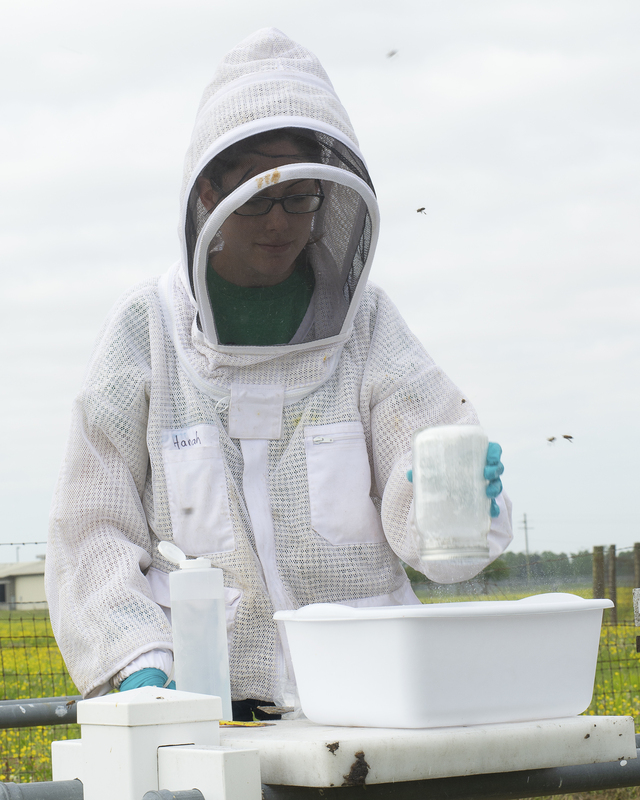 *Note: 70 percent alcohol can be substituted for powdered sugar but will kill the sampled bees.